Saturday, August 16 2-5 p.m.
What better way to spend a summer afternoon than eating ice cream and other sweets, socializing with neighbors, playing games, and other old-fashioned entertainment? 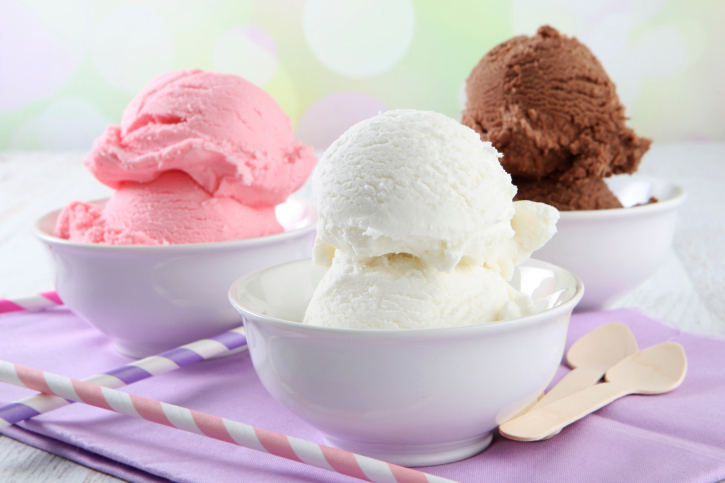 Please put on your summer whites or Victorian-inspired attire, and join WAHA at its annual Ice Cream Social. Singer Dianne Lawrence will entertain with vintage tunes from the 1920s, ‘30s and ‘40s. The Fenner-Robinson family -- Elizabeth, Brian, August and Theo -- will be our hosts at 2410 4th Avenue in the West Adams Avenues. Please don your patriotic best (red, white, and/or blue), and join WAHA at our annual All-American 4th of July party and picnic. Our host is WAHA Board member Harold Smith. Never been to a WAHA 4th of July? Here's what you need to know: Food. Fun. Music, activities for the kids and fun for the whole family. We have arranged parking at the church lot on the NW corner of Washington and Westmoreland. We hope to see you on July 4th! Our wonderful new neighbors at PIZZA REV have generously offered a portion of the day’s proceeds to WAHA – just mention WAHA at the counter for your purchase to qualify. And you don’t have to be a WAHA member, so be sure to tell your friends and neighbors as well about this great opportunity. Pizza Rev is located on the third level above LOWES at the Midtown Crossing shopping center. To download a pdf flyer to bring with, click here. A last minute change has required a change of venue for this weekend's Preservation Brunch. Past President Jim Robinson and his wife Janice, always generous in their support of WAHA, have graciously offered to host the event in the gardens of their Stearns-Dockweiler Residence, located at 27 St. James Park, just north of Adams Boulevard, between Hoover and Figueroa. Come celebrate Preservation Month - Our Special guest speaker is Christy Johnson McAvoy, founding principal of Historic Resources Group, and WAHA will also present the 2014 Martin Eli Weil Award, WAHA's highest award for preservation. Continental Breakfast will be served, accompanied by refreshments and mimosa's. Angelus Rosedale Cemetery, founded in 1884 and one of Los Angeles’ oldest cemeteries, has long been connected to the Civil War by its many hundreds of veterans interred there. During the cemetery’s earliest years, people gathered here in West Adams to remember their loved ones, in particular Civil War veterans on the occasion of Memorial Day. 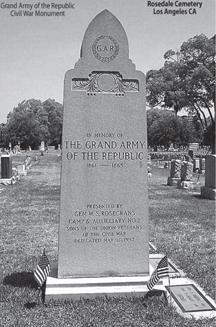 This year, with a nod to the conflict’s 150th anniversary, WAHA along with the Sons of the Union Veterans of the Civil War (SUVCW) General Rosecrans Camp, its Women’s Auxiliary, and the Daughters of the Union Veterans of the Civil War, will gather at Angelus Rosedale Cemetery on Sunday, May 25, to once again pay tribute to those who fought in the War Between the States. WAHA has a long-standing tradition of holding Newcomer's Desserts to meet and welcome new WAHA Members to the organization. The next one of these events will be held on Thursday, June 5, from 7 – 9 p.m. Please join us as the Membership Committee hosts this event at John Kurtz’s historic home in Gramercy Park. It’s not necessary to bring something to share but any treats brought will be appreciated. Everyone is welcome. Sunday, April 6, 2014 - 4:00-7:00 p.m.
WAHA’s most important Membership Meeting is just around the corner – Sunday, April 6th, and I want to encourage all of our members to attend. We will be asking for your input as to the future direction of your organization - from the people who matter most, our members! You won't want to miss the opportunity to see this gorgeous house! In addition, Derek Japha will share a short presentation on fighting commercial corridor blight along West Adams Boulevard, and Jett Loe will be previewing “Untold LA,” his incredible digital photo album on Historic West Adams. Whip out those new 2014 calendars –– We have a ton of fun planned in the weeks ahead! Monday, February 3, 11 a.m. - 10 p.m. Please Step Out to El Cholo Cafe on the 3rd –– and bring your friends and family: WAHA will receive 20% of whatever you spend! Just bring the flyer on page 17. Get some behind-the-scenes insight into this year’s Oscar nominees for best costumes as WAHA tours the annual Art of Motion Picture Costume Design exhibition at the FIDM Museum. Saturday, March 1, 4 - 7 p.m. Celebrate at WAHA’s next potluck, N’Awlins-style! In honor of Mardi Gras, please bring a Southern, Creole or Cajun dish to share. Let the Good Times Roll! Well, here we are, at the beginning of a new year, and –– Oh, Boy –– does WAHA have a lot of events already planned! Please take a look at WAHA’s Preservation Calendar on page 19 (you could even cut it out and put in on your bulletin board or refrigerator), which includes many important dates already slated for fun events, historic tours and preservation activities. Simply join us at El Cholo for delicious Food and Margaritas, or order Take Out. 20% of the proceeds will be donated to the West Adams Heritage Association. Click here to print out the flyer and be sure to bring it with you.